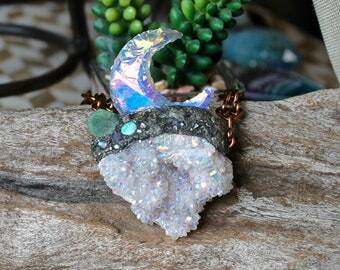 Photos do not do this piece justice, the angel aura crystal druzy is absolutely stunning and so sparkly in person! 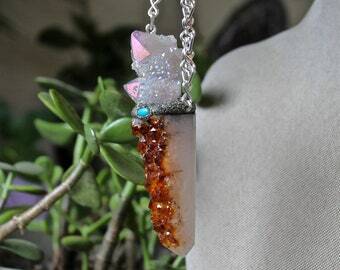 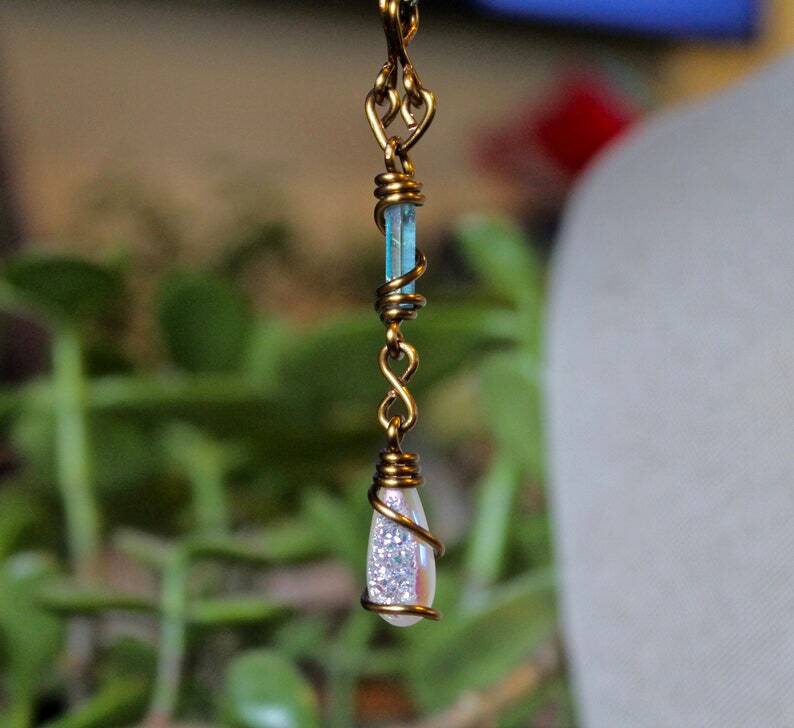 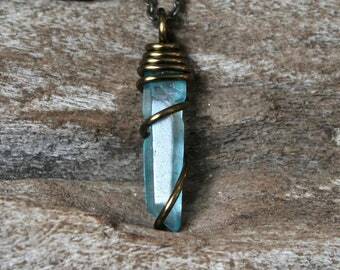 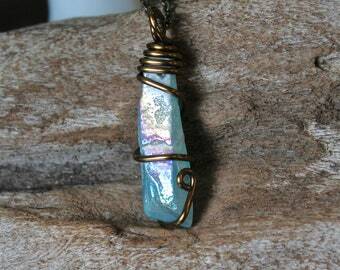 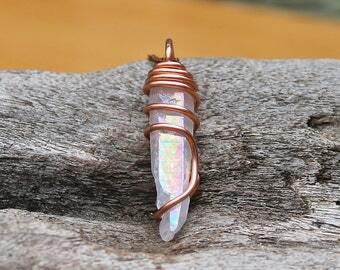 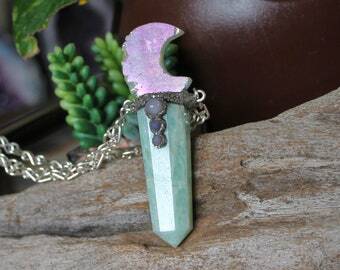 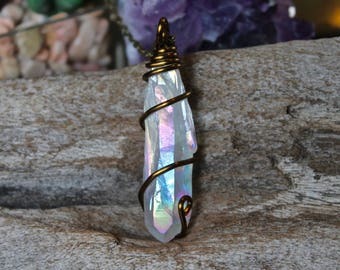 A 3/4" aqua aura quartz crystal point and a 7/8" angel aura druzy have been wrapped in bronze wire and the total length of the entire pendant (including the bails) is 3 inches. 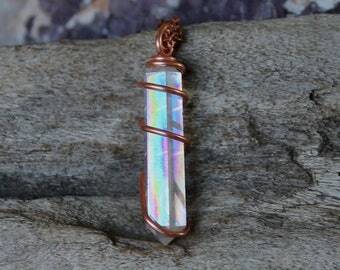 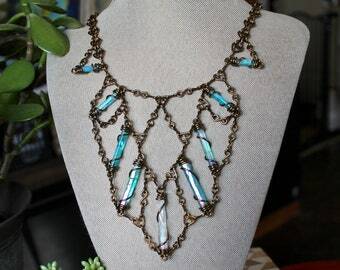 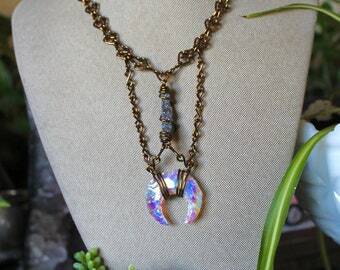 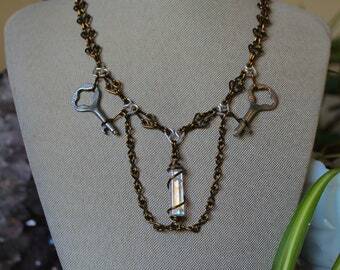 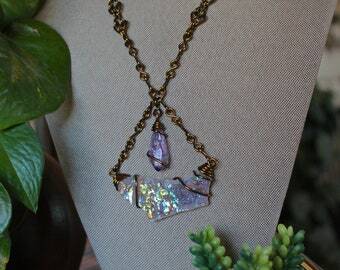 The aura crystals come on a bronze chain and you get to pick the length of your aqua & angel aura quartz necklace. 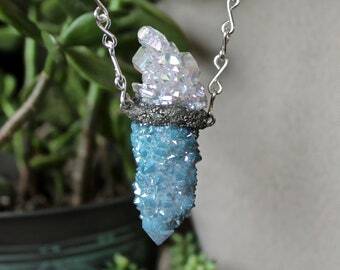 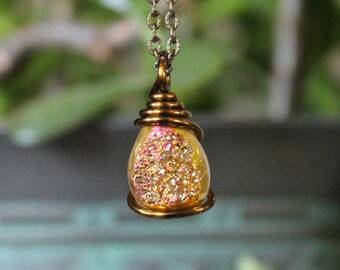 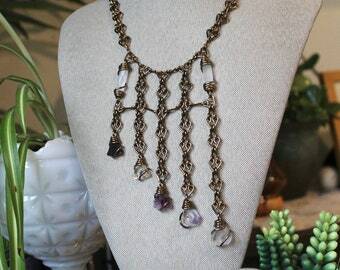 Please take a look at all 10 photos to get a better idea of the true size and beauty of this aura crystal necklace!